Can you imagine how many obscure, hidden-gem car collections and museums are dotted all around the world? 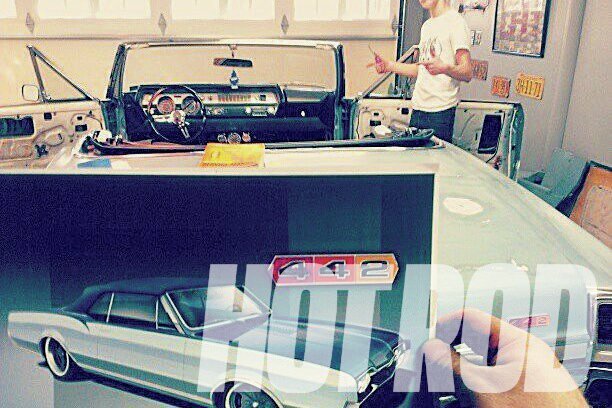 We’ve been to tons of auto museums and we’ve likely only scratched the surface. For example, unless you happened to stay at the fabulous Gateway Canyons resort in Gateway, Colorado, or knew about the museum prior to making the hike over to Telluride, you’d probably never even know about the fantastic collection of classic American cars on public display at the Gateway Auto Museum. We recently had a chance to take a quick spin through the collection and picked out some of our favorites. Packard made its name in the prewar era as one of the greatest and most well-regarded American luxury automakers. Its majestic tourers and elegant drop-tops elevated the firm to the same level as Rolls-Royce, Hispano-Suiza, and Duesenberg. 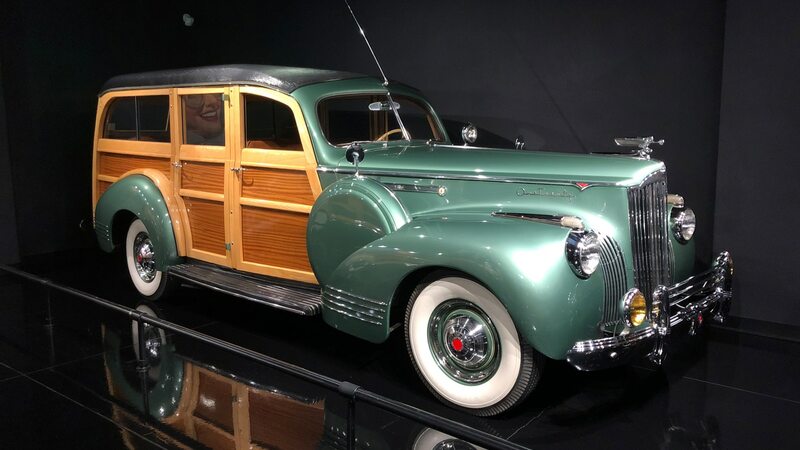 However, that image began to slip in the 1940s as Packard released a series of lower-priced and more affordable models, and the brand ultimately met its demise in 1958. Packard enthusiasts often point to the One-Twenty as ground zero for the decline despite its excellent design and versatile platform. 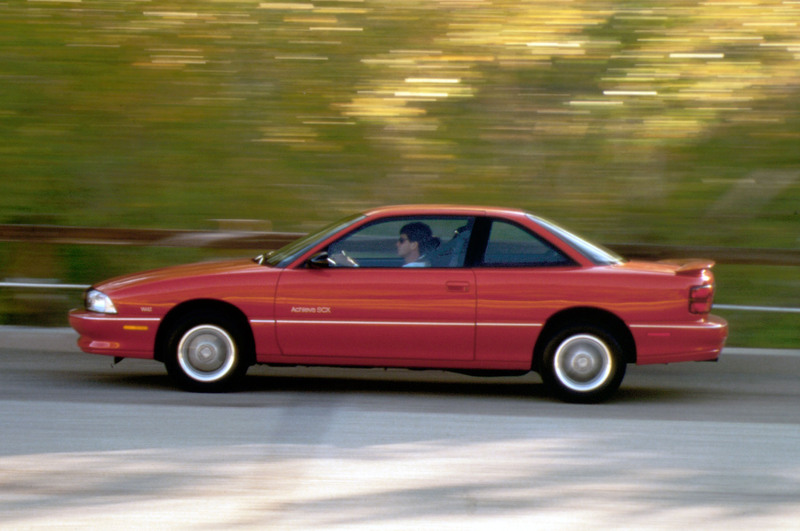 You might not know from looking at it, but this white convertible is one of the most sought-after Pontiacs ever made. This was the first time the Bonneville nameplate made it to production, arriving as a loaded-out, top-of-the-line variant of the Star Chief. 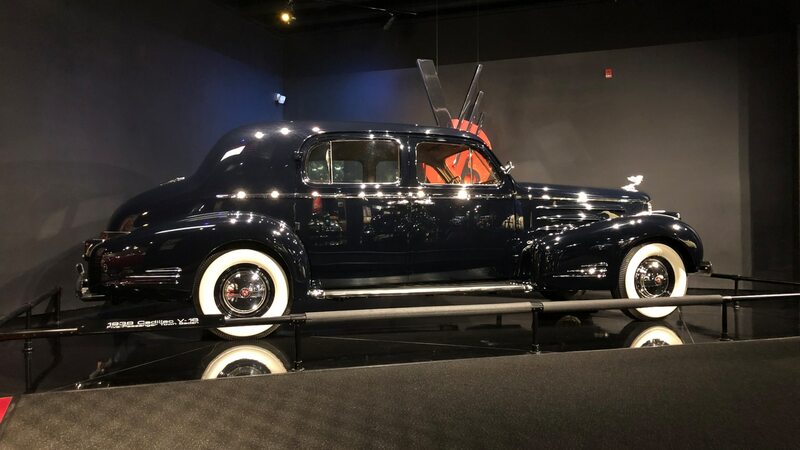 Availability was limited to just one per dealer, so the price was more Cadillac than Pontiac at an impressive $5,782—or the equivalent of nearly $54,000 today. As a result, only 630 of these cars were ever made. 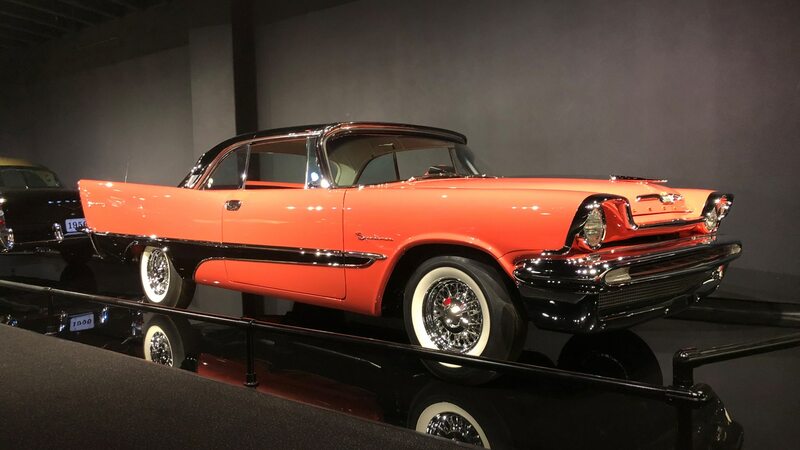 In 1957, while Pontiac was off working on the Bonneville and Chevy was busy pumping out one of the most iconic cars of all time, DeSoto produced this mid-priced Firesweep model. Unfortunately, its sharp looks couldn’t save the struggling DeSoto brand, as it went defunct in late 1960. This is a Caddy from when the American luxury brand truly embodied its catchphrase, “The Standard of the World.” Forget those Lincoln Zephyr V-12s—step up to a V-16 Caddy with a fire-breathing 185 horsepower. 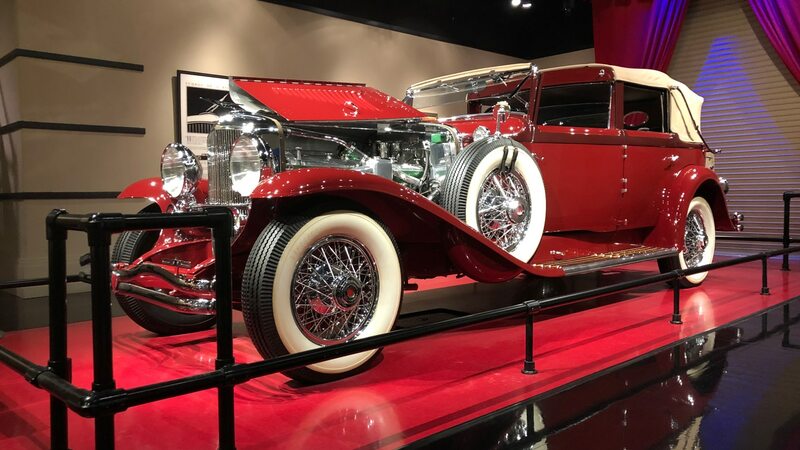 Any Duesey is special, but according to the museum, this “Transformable Cabriolet” is just one of two such cars built by Hibbard and Darrin coachworks. It was first displayed in Paris in October 1929 and offers the ability to be fully enclosed, fully open, or used as a town car with an open cockpit and covered rear seat. This is the museum’s crown jewel. 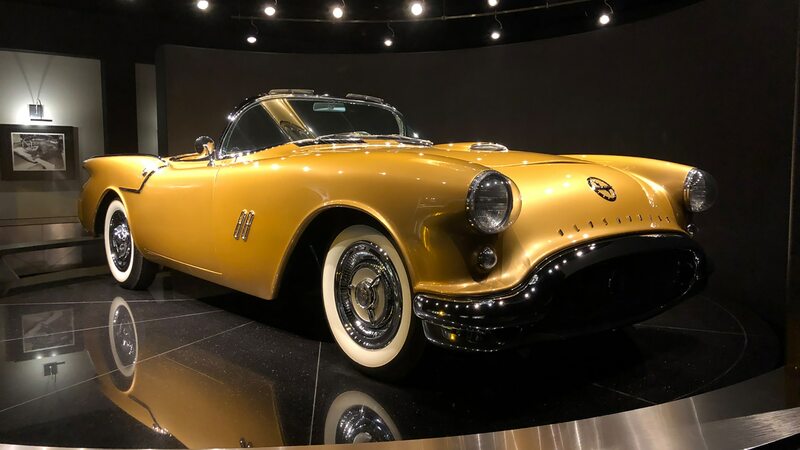 Created in 1954 from designer Bill Lange’s sketches as a Motorama Dream Car, this is essentially what an Oldsmobile Corvette might have looked like, provided it made it past the concept stage. 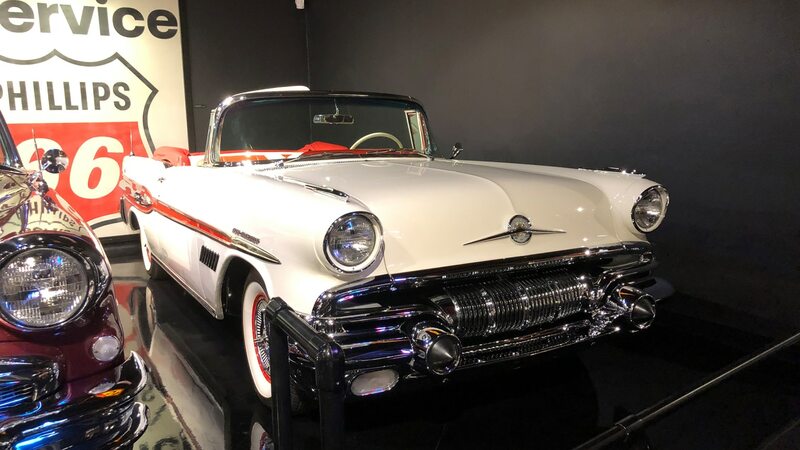 Keeping with the standards of the era, power comes from a 324-cubic-inch (5.3-liter) Oldsmobile V-8 making 250 horsepower thanks to modifications that took it beyond its Super 88 roots. A four-speed automatic drove the rear wheels via the Corvette’s rear end. Once off the show circuit, the car was eventually disassembled, put into various crates, and shipped to E.L. Cord. It was eventually reassembled in 1990 and has traded hands a few times since, with the most recent price exceeding $3 million.